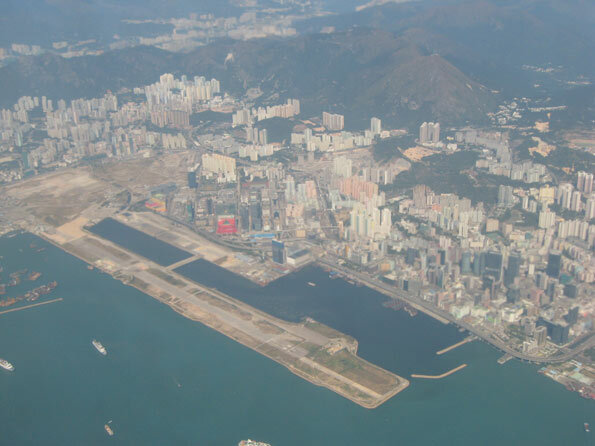 The government of the Hong Kong Special Administrative Region has outlined plans to create a "second central business district" at Kai Tak in eastern Kowloon, site of the now former international airport. Kai Tak airport was abandoned in 1998 when the new Hong Kong International Airport at Chep Lap Tok opened. Kai Tak is in the middle of the most dense urban development in the high income world. The government intends that the development will have 43 million square feet of office space (4 million square meters) and will cost HK$100 Billion (approximately $13 billion). The development would be served by a monorail, which would connect with MTR (metro) lines at Kwun Tong and to a proposed central link MTR line to the new town of Sha Tin.